What a difference a year makes, as the old jazz standard goes. In November 2010, I decided to try and make a go of it as a comedy writer. I wrote my first parody song (one about the American midterm elections, to the tune of ‘Stuck In The Middle With You’ – some things just write themselves) and submitted it to Newsrevue – and much to my delight and excitement, they used it in the show. But it wouldn’t have really mattered too much to me if they hadn’t – because I knew that what was important was merely the step of going for it, to use modern parlance. And there has followed a year of going for it – writing every day (around gigs and my freelance day job), learning how to craft jokes, learning how to write sketches, picking comedy writers’ brains, trying to improve, submitting and submitting and submitting and not being disheartened when it didn’t always lead to my work being used and being used and being used, going to the London Comedy Writers’ Festival, saying ‘yes’ to every opportunity that came my way even if it was a bit scary, changing my Twitter bio to read ‘comedy writer’, and – most importantly – quieting the small, self-doubting voice inside me whenever it popped up to say I couldn’t do this, or wasn’t entitled to it. As a result, I can’t quite get my head around the year that it’s been. I’ve gone from never having written a single joke, sketch or parody song (well, except for that one I wrote for the end-of-term party in the German Department at Sheffield University) to writing for Newsrevue and the Treason Show, seeing my material being performed at the Edinburgh Festival, writing with amazing, established comedians on a topical webseries (which will soon be followed-up with this), going to BBC Radio Comedy’s offices to write on Newsjack, pitching my romantic comedy feature film idea to movie producers who want to read it, hearing Sandi Toksvig use my jokes on The News Quiz, and – last night – seeing my first credit roll up a TV screen: as an additional writer on the marvellous Never Mind The Buzzcocks. I’ve also started to write about comedy for Huffington Post UK – and in a few weeks’ time, will start running its Comedy section. 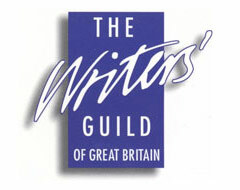 And as an extra bonus, a piece I wrote for HuffPo has led to me being on the panel of a Writers’ Guild of Great Britain discussion about Women in Comedy. Forget The Power of Now – this is The Power of Going For It. And The Power of Support From Others, and The Power of Twitter. At next year’s Comedy Writers’ Festival, I’ll be on a panel about Twitter – because I sincerely don’t think I would have become a comedy writer without it. Partly because Twitter led me to writing actual jokes – and partly because the comedy writing support, friends, contacts and work I have found through it have been incredible, and life-changing. Thank you, everyone on Twitter who’s ever told me I was funny, or #Follow#Friday’d me, or given me work, or told me I’m a nice person who deserves success. And thank you to everyone who’s not on Twitter who’s been just as wonderfully supportive in my life. George Eliot was right – it’s never too late to be what you might have been. And she knew. She was a woman with a hilarious bloke’s name.